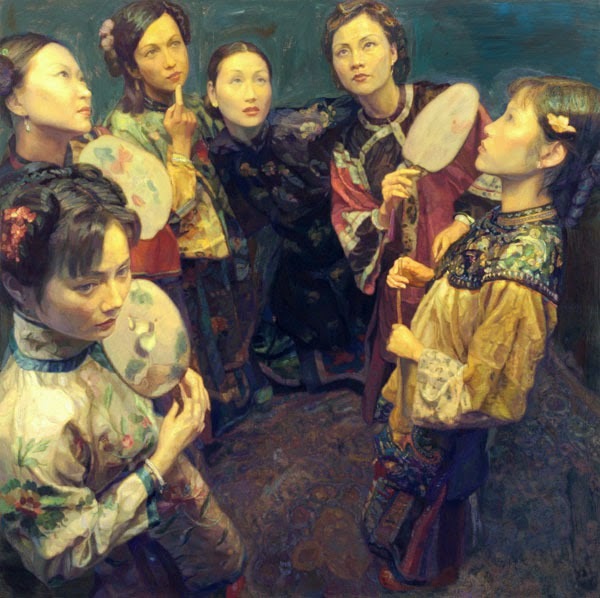 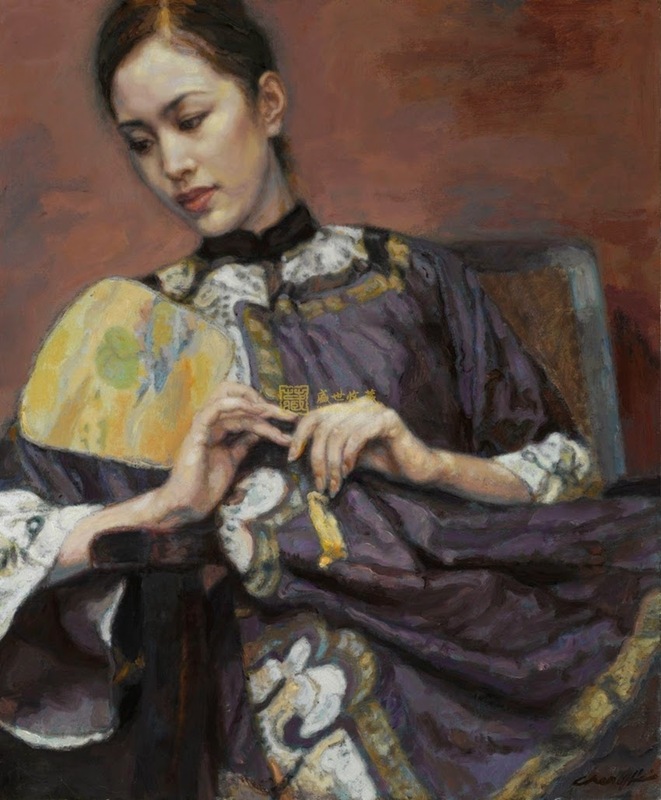 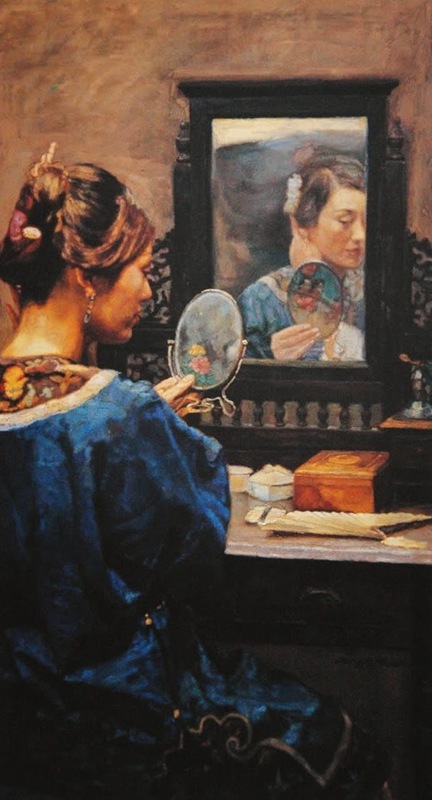 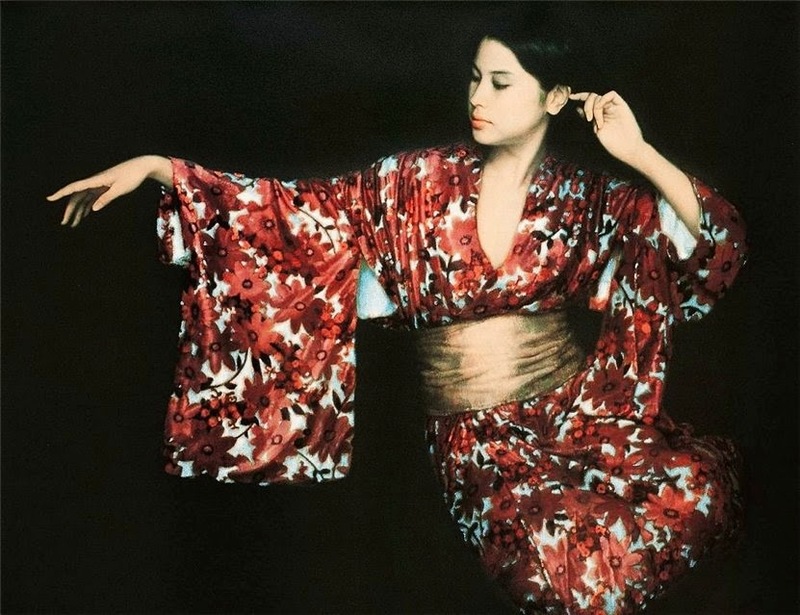 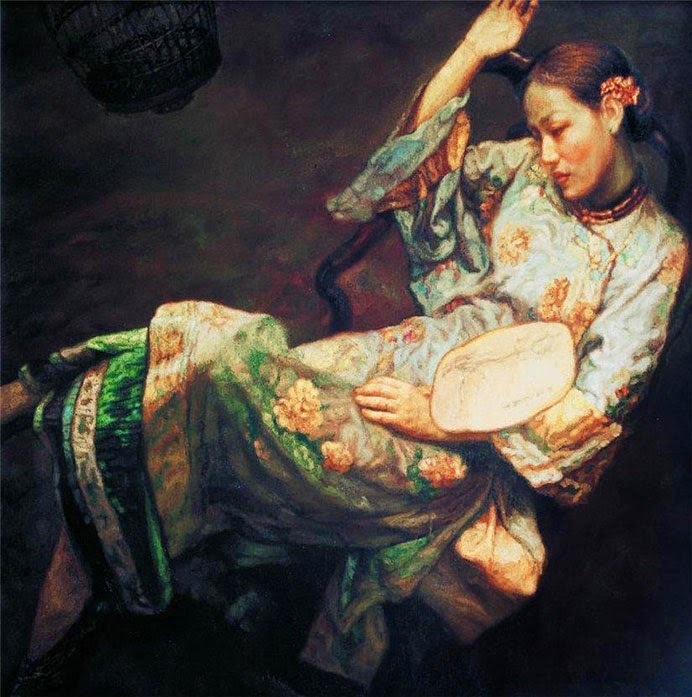 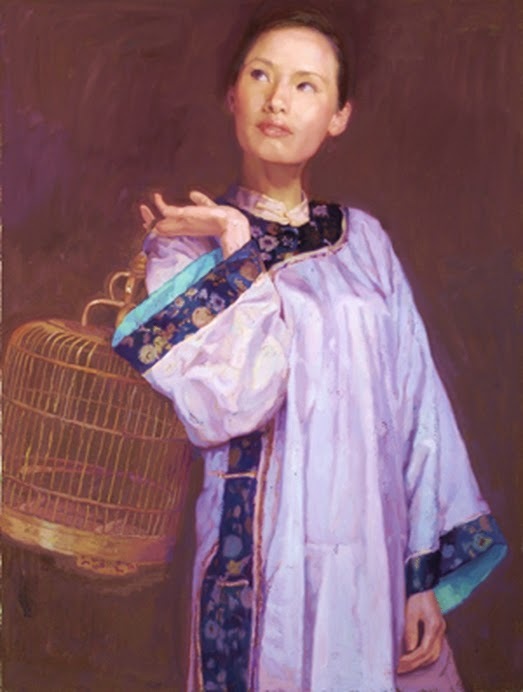 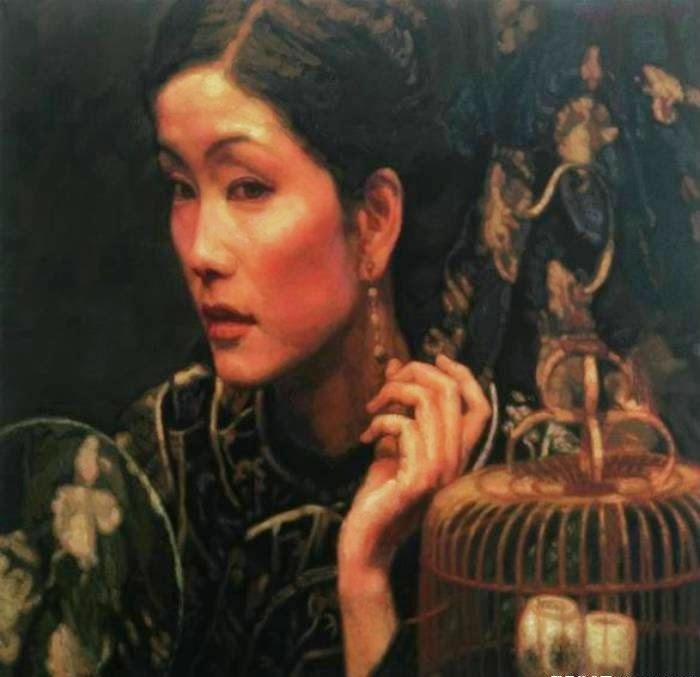 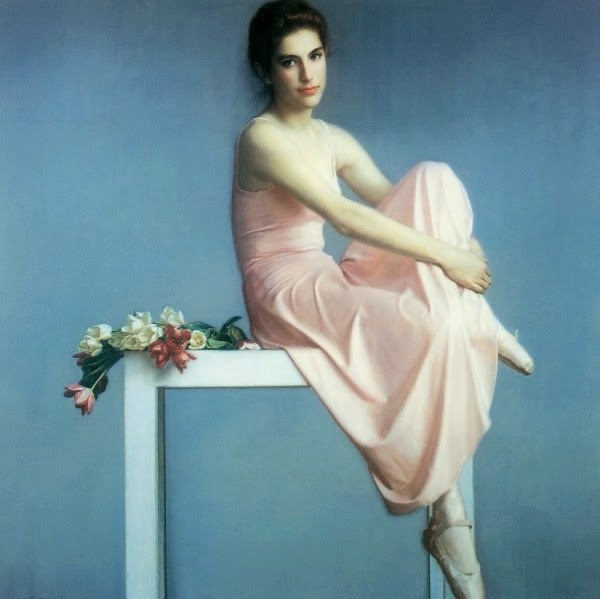 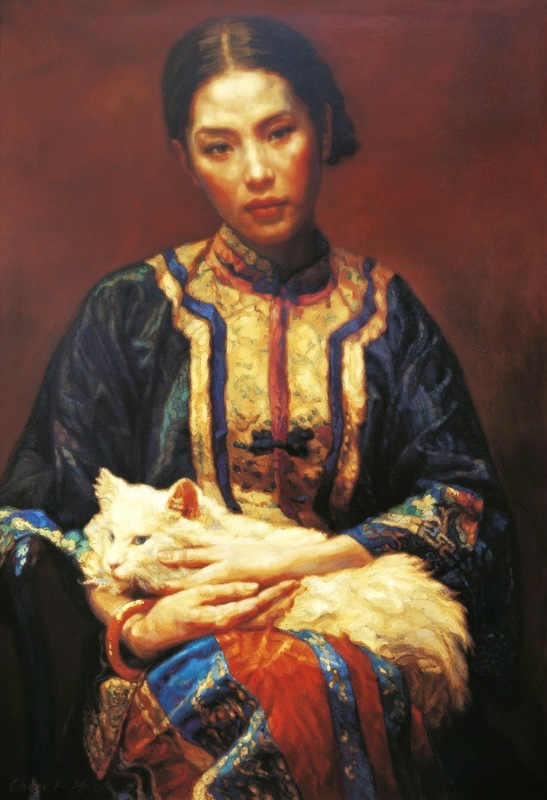 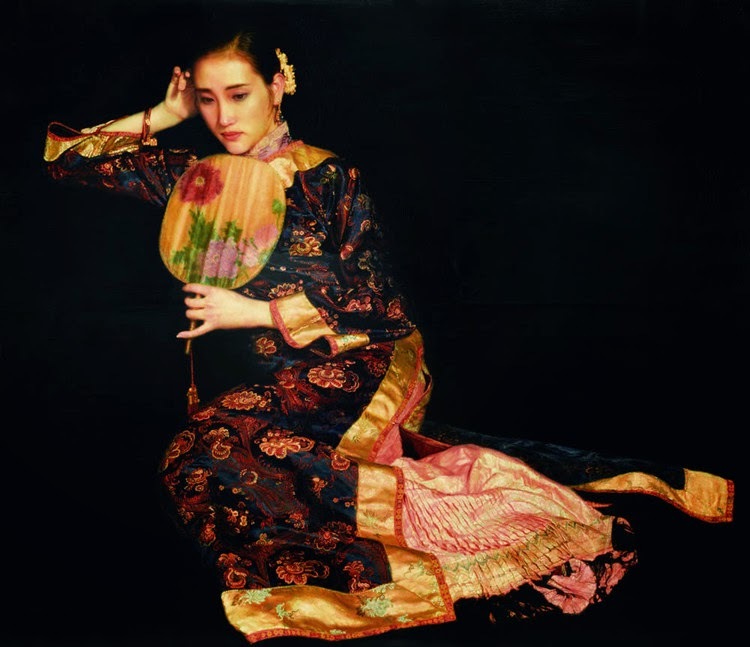 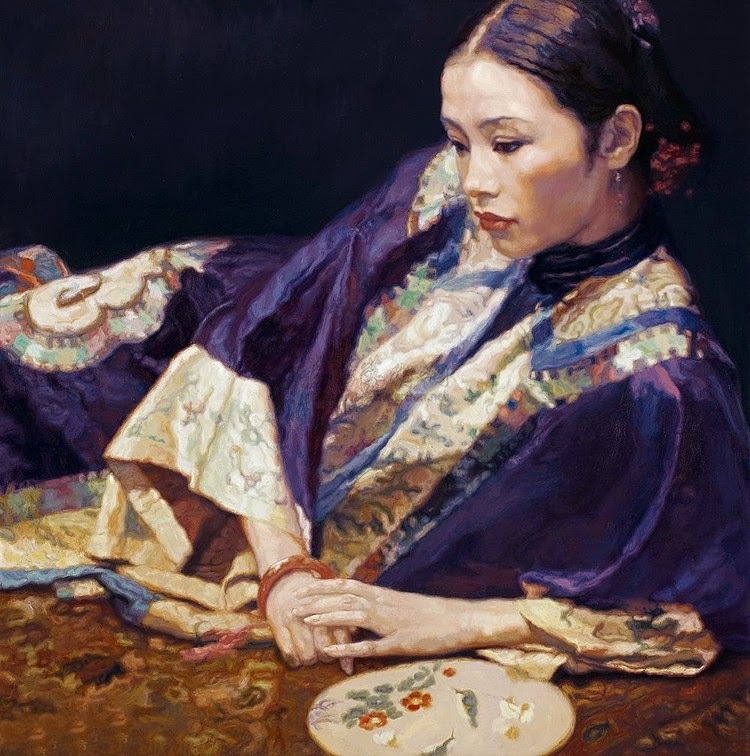 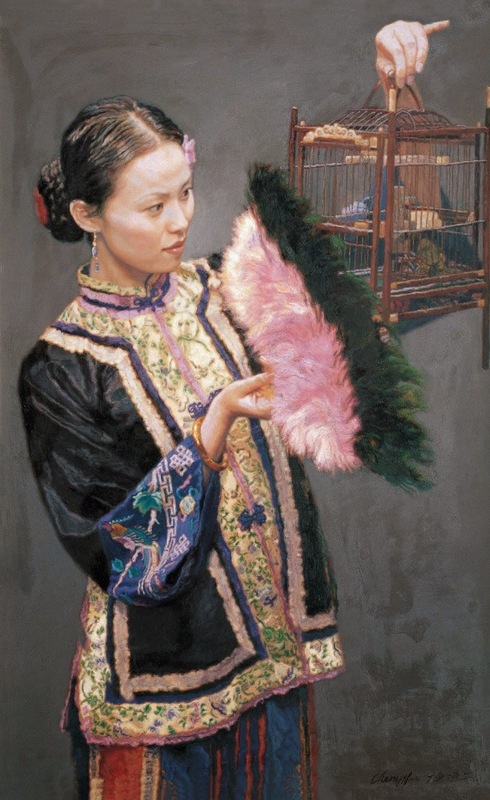 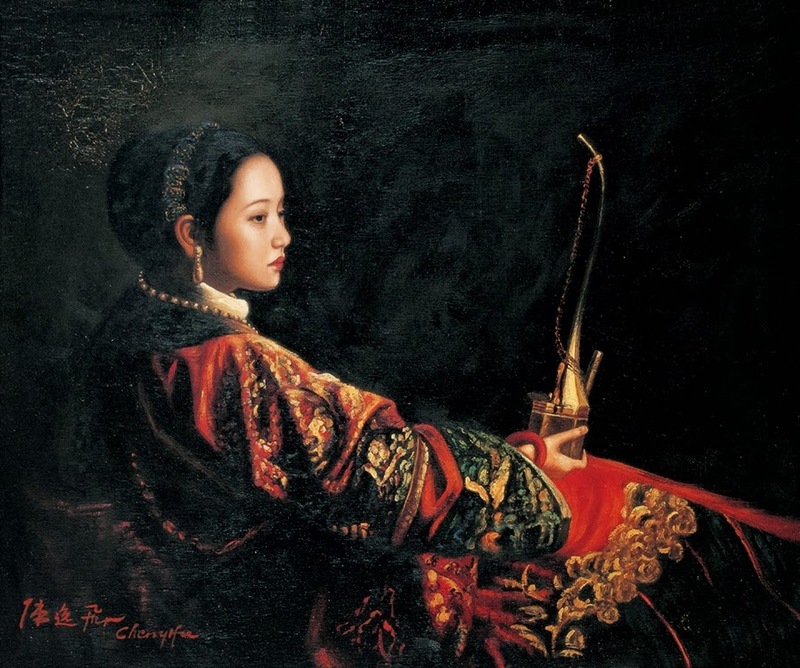 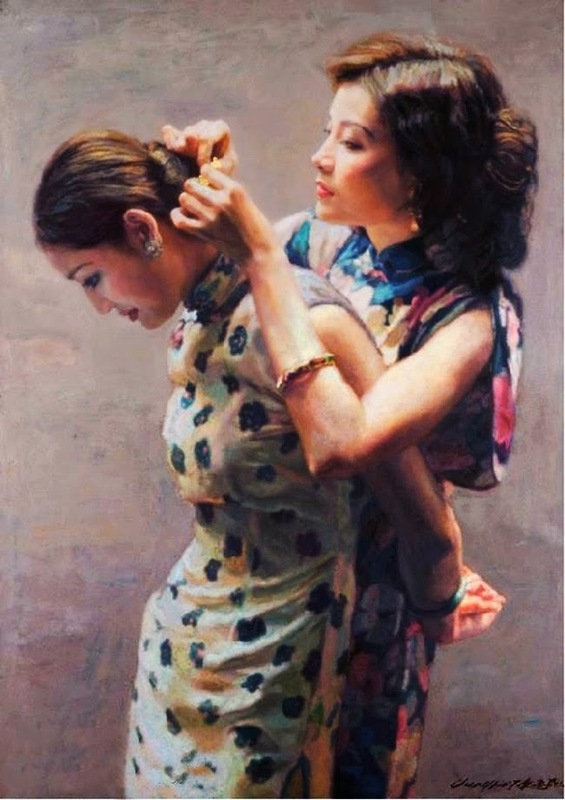 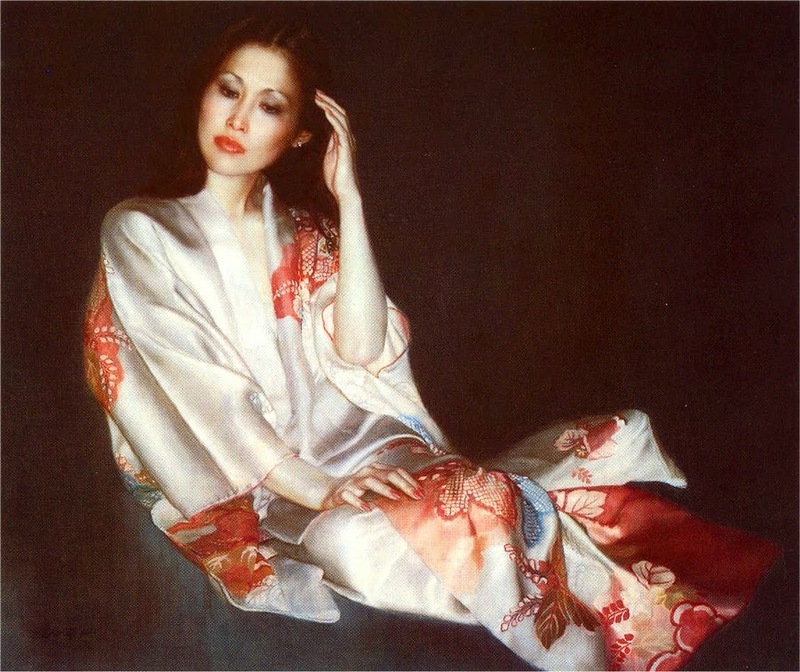 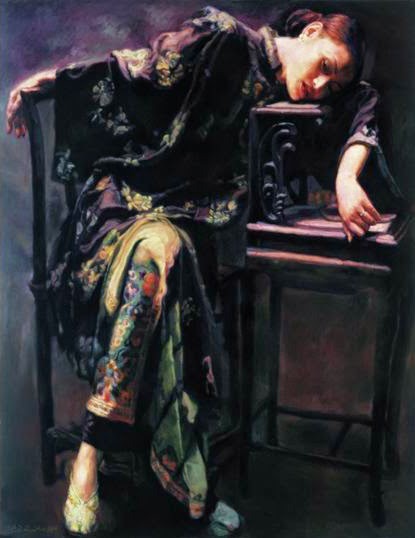 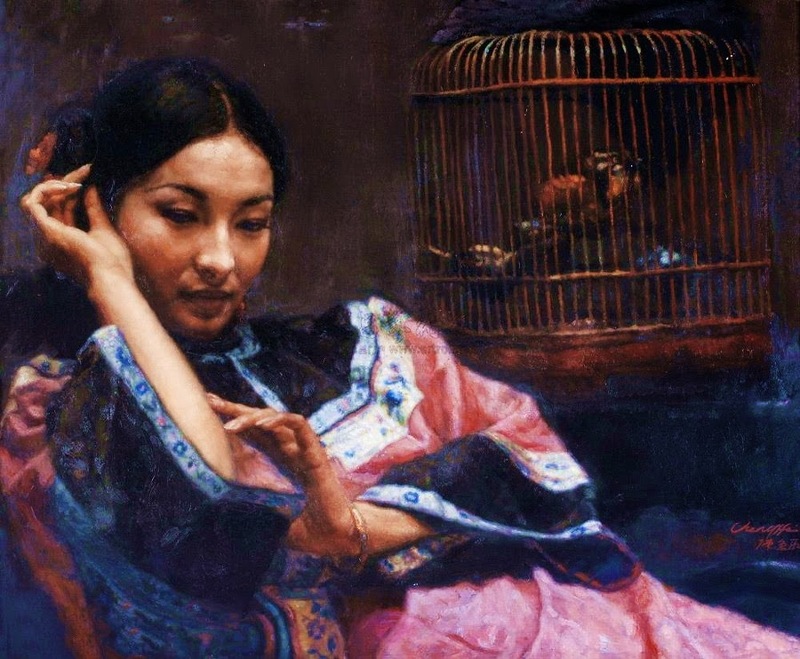 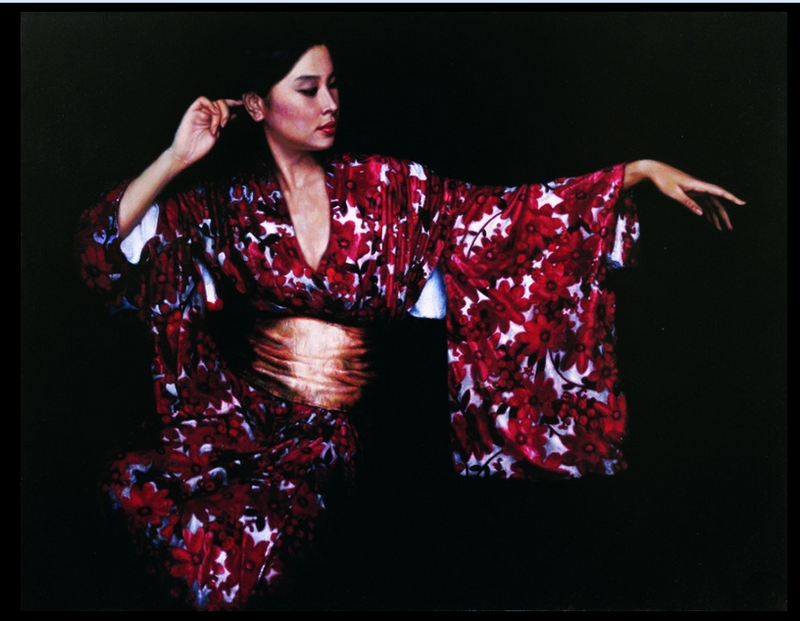 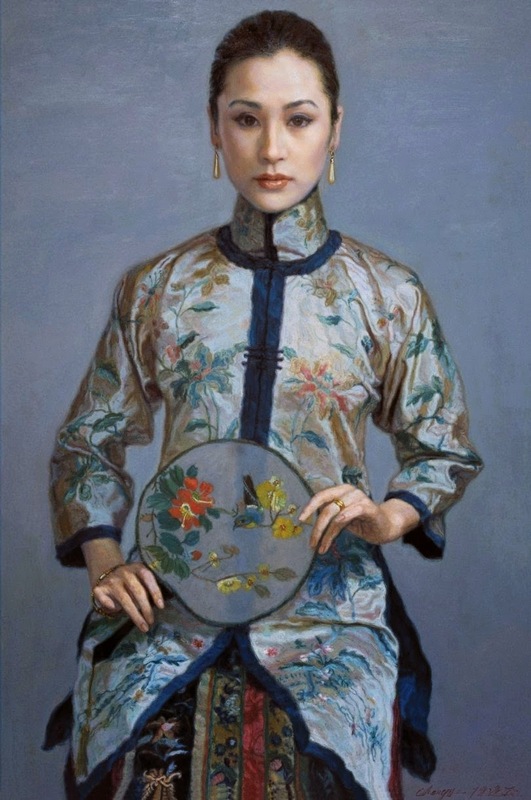 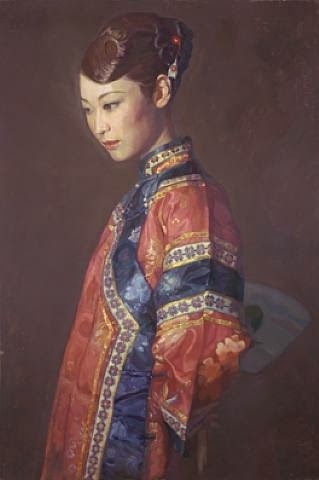 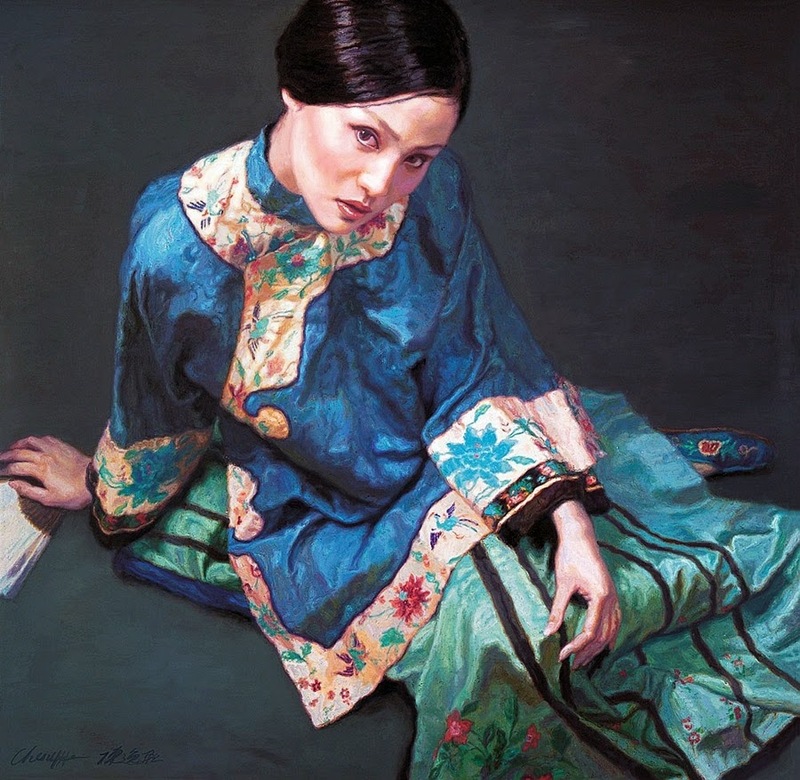 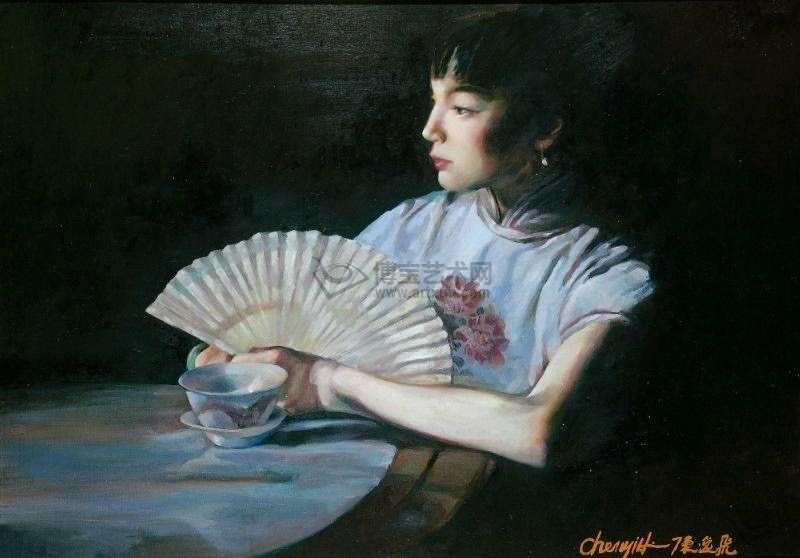 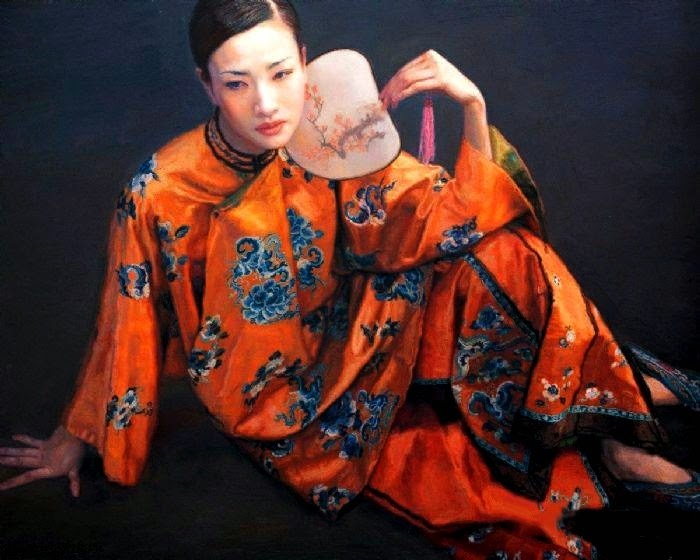 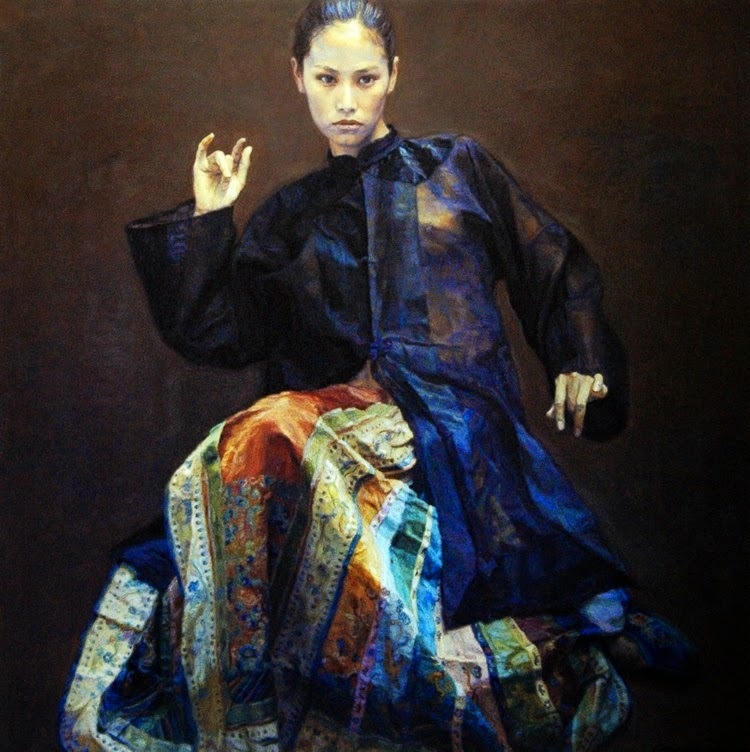 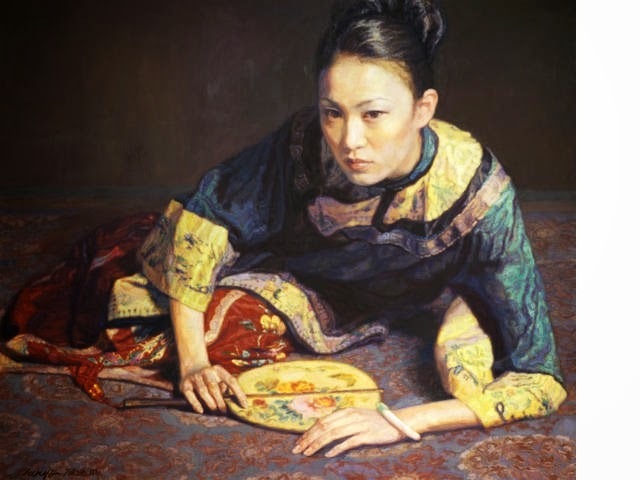 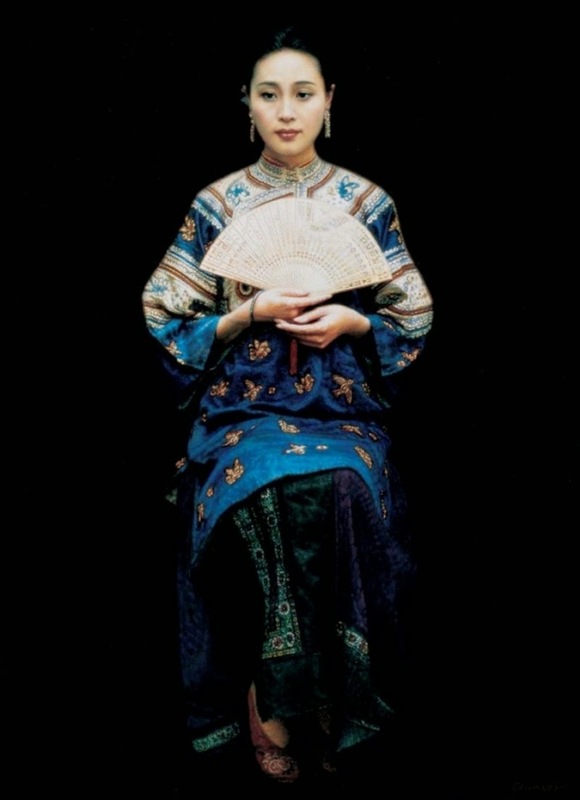 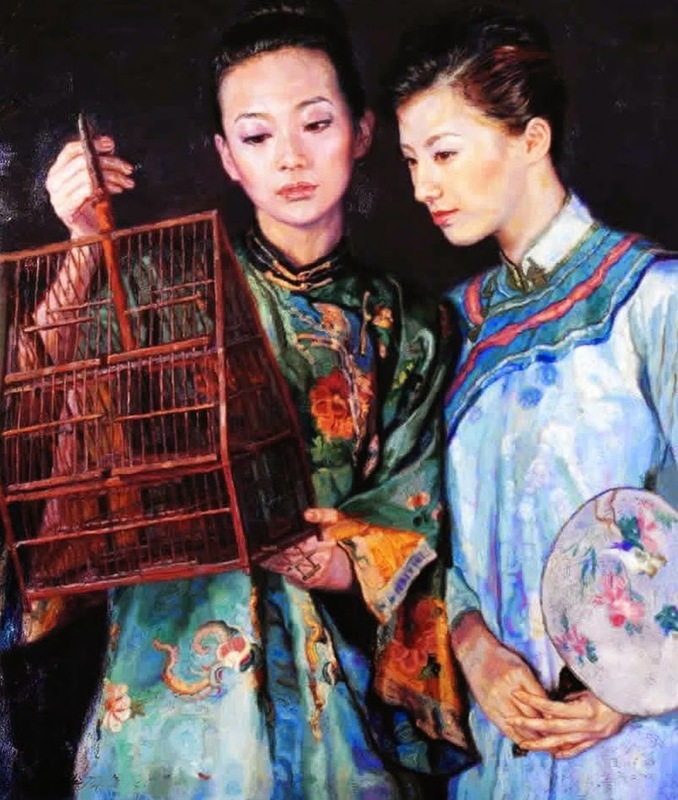 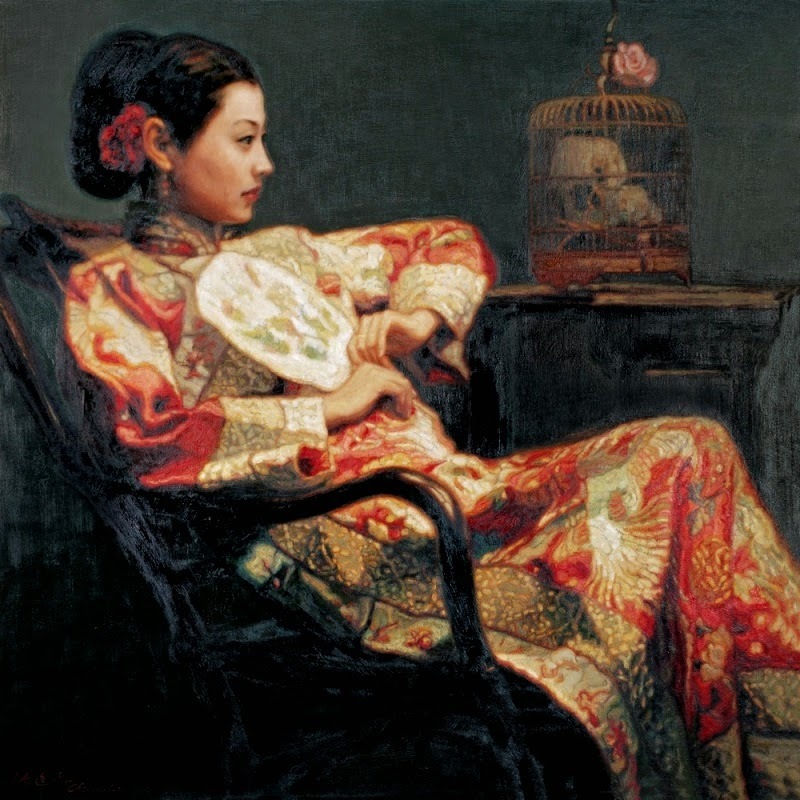 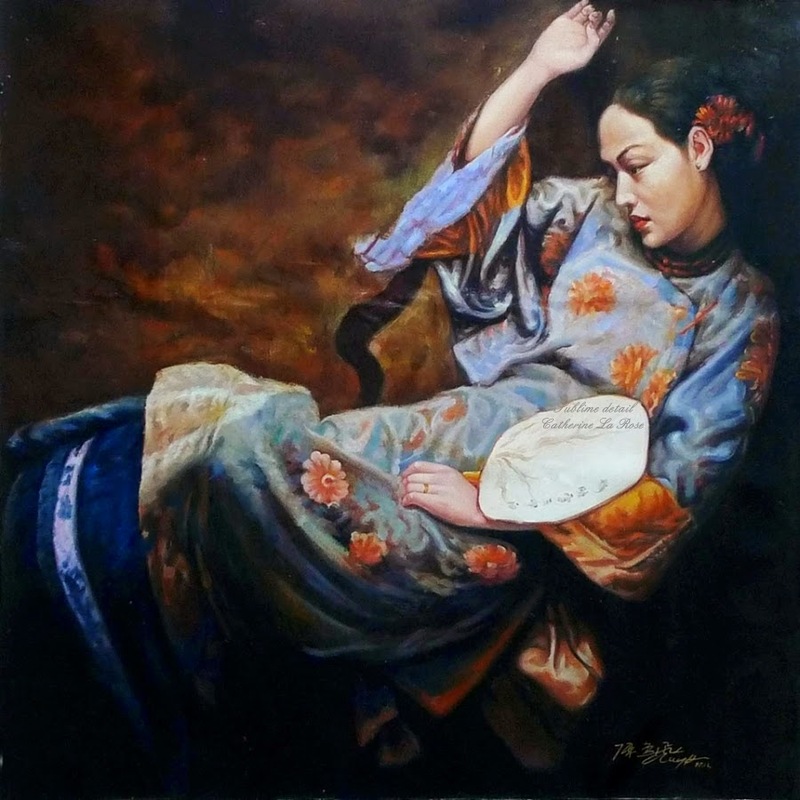 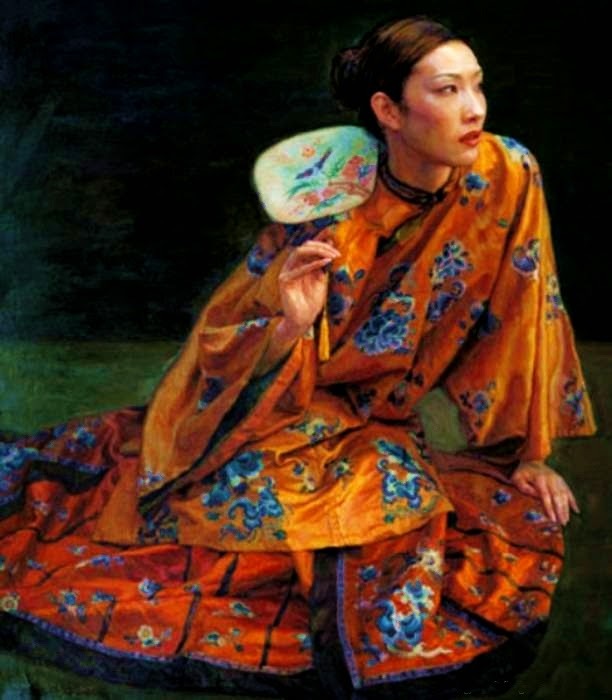 Chen Yifei 陈逸飞 1946-2005, famous Chinese classic painter, director and fashion designer, is a central figure in the development of Chinese oil painting and is one of China's most renowned contemporary artists. 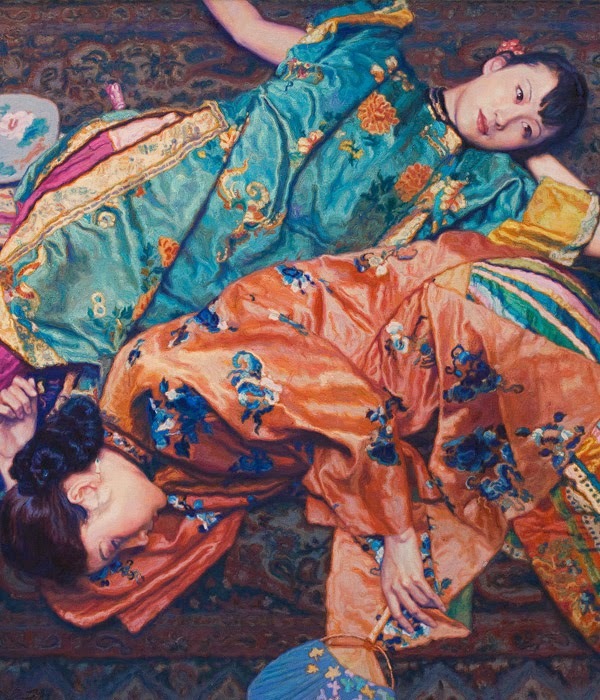 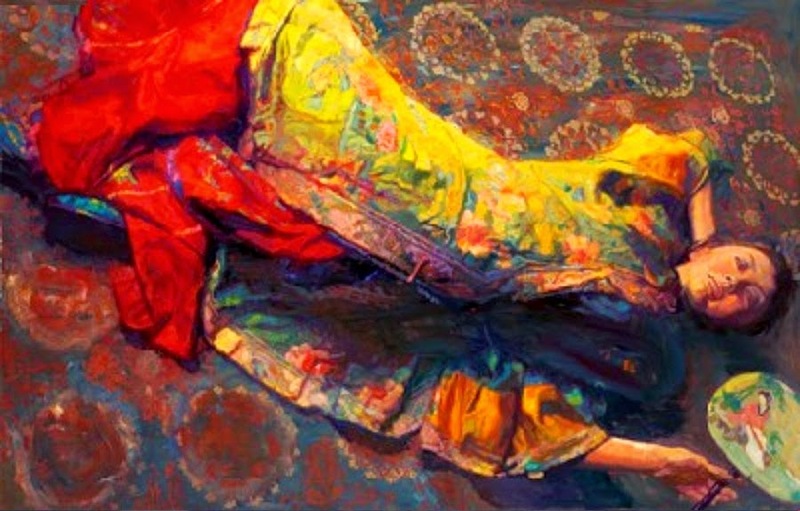 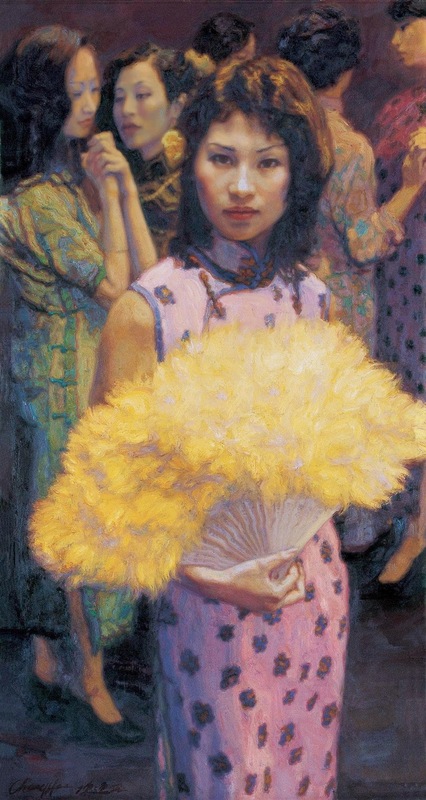 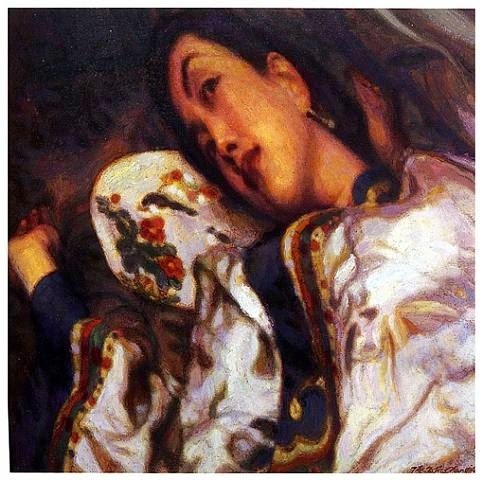 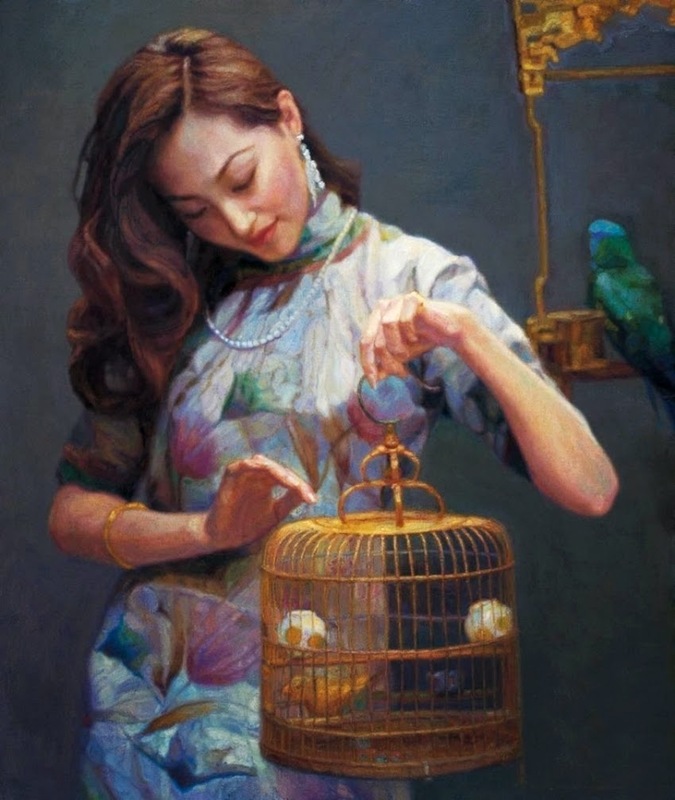 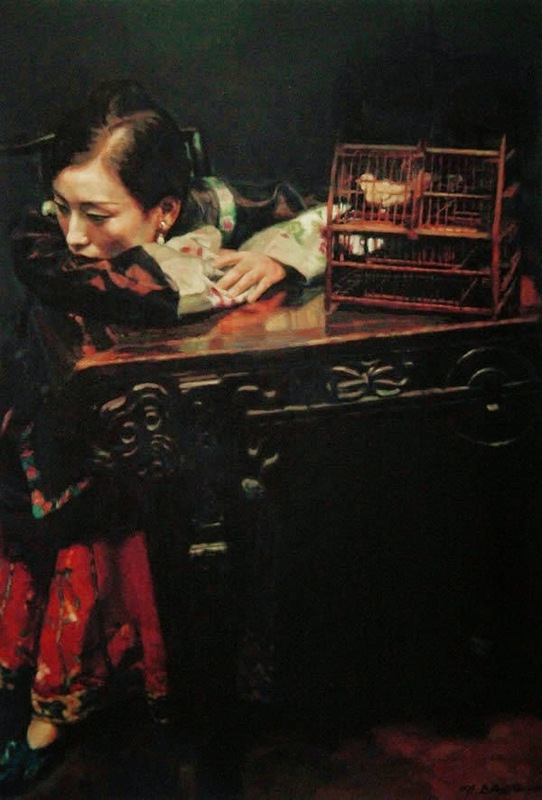 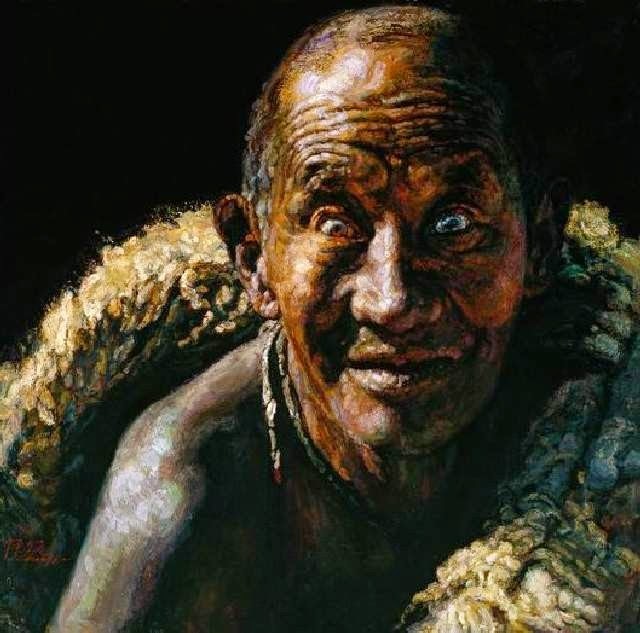 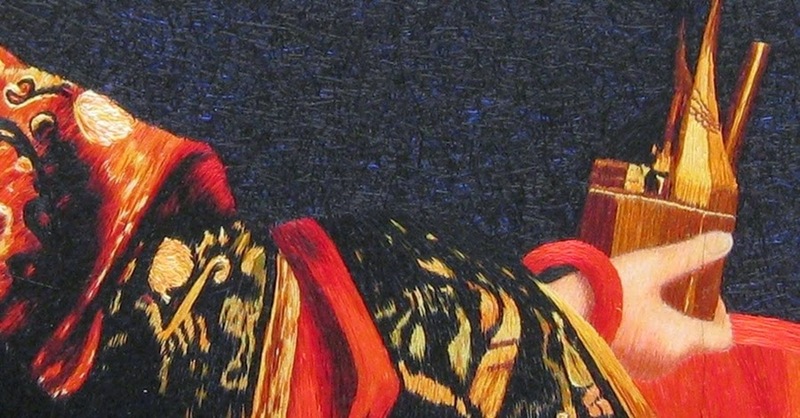 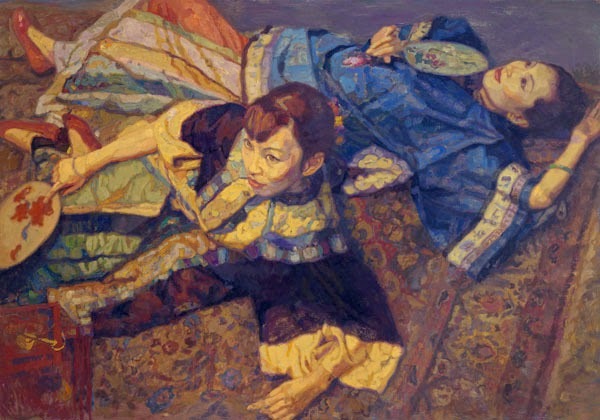 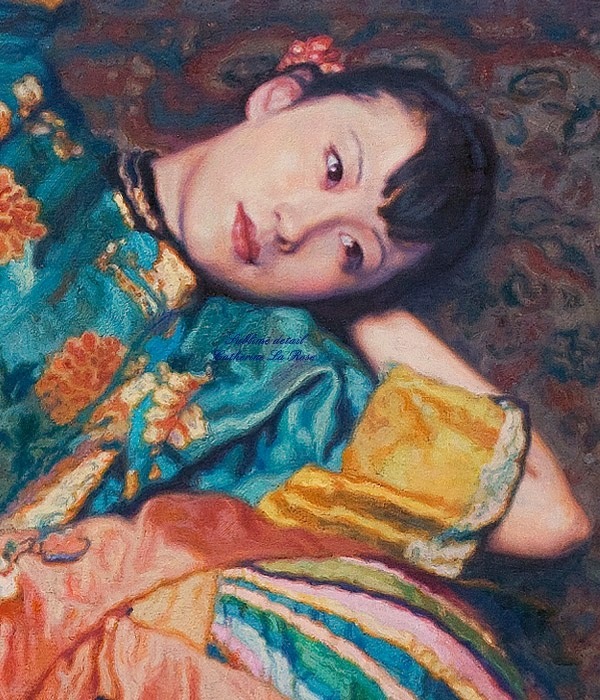 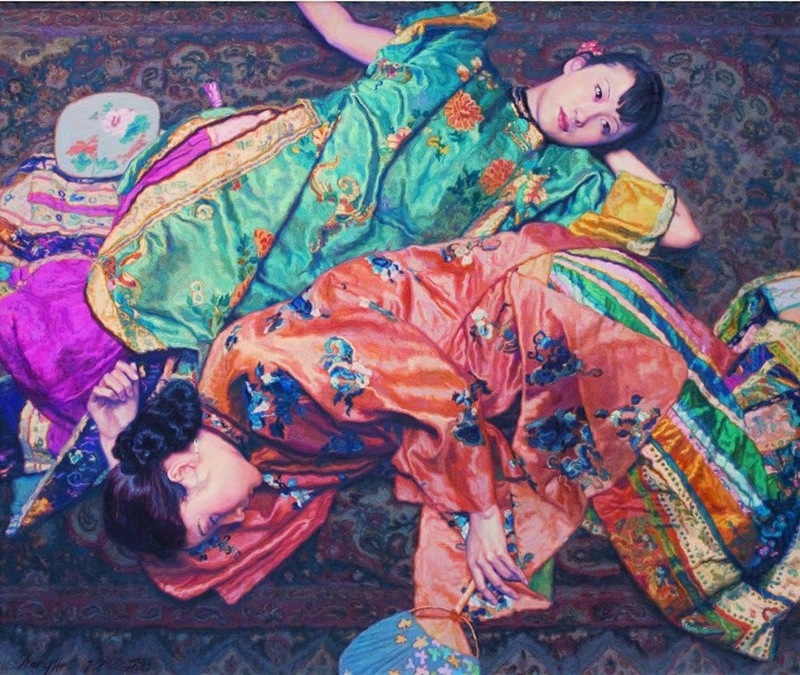 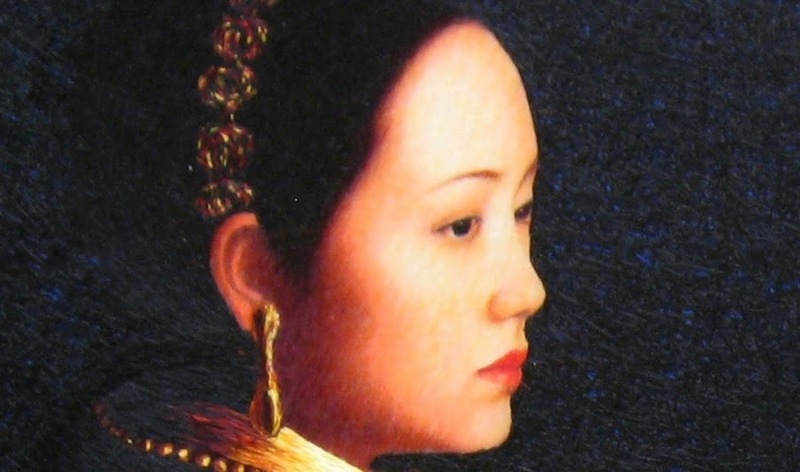 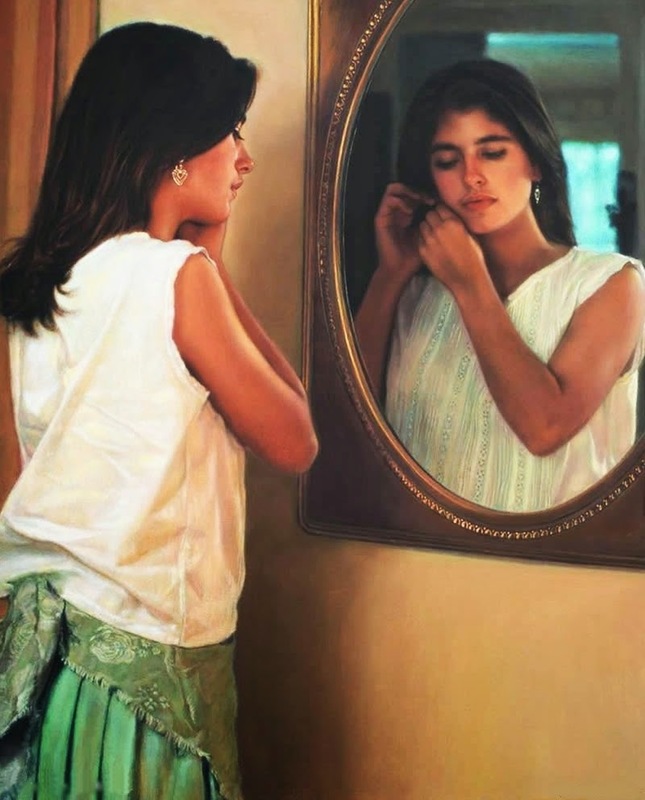 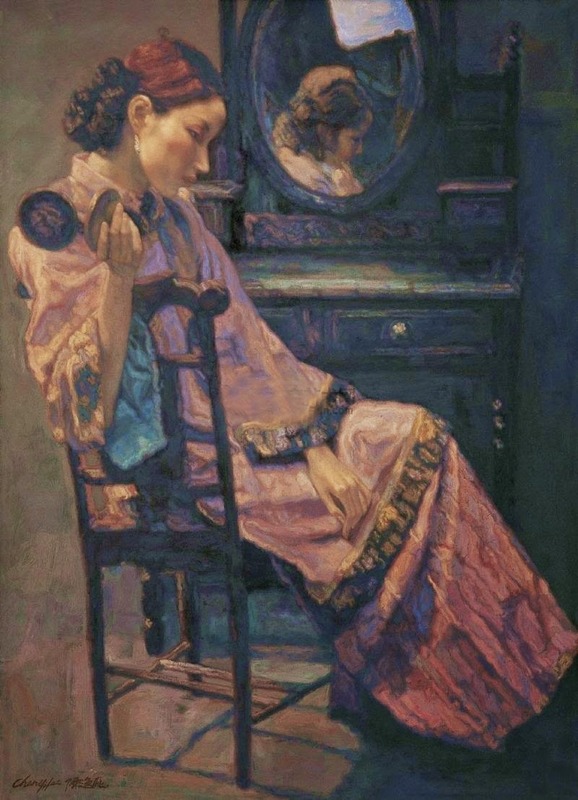 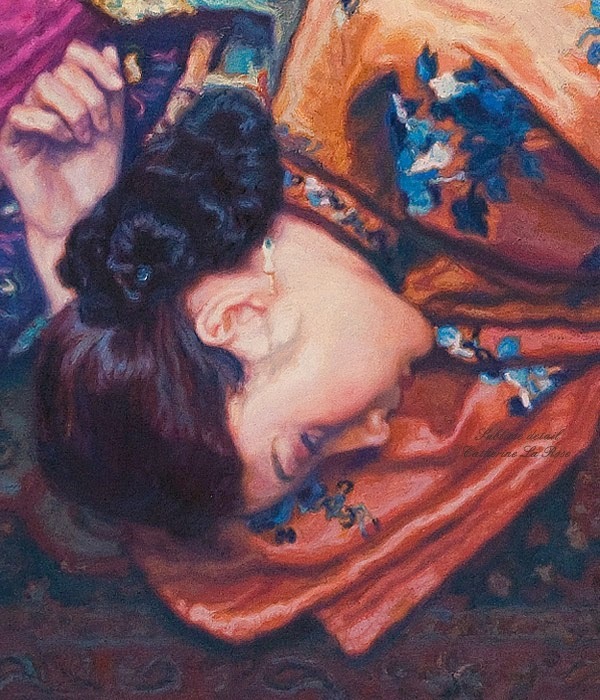 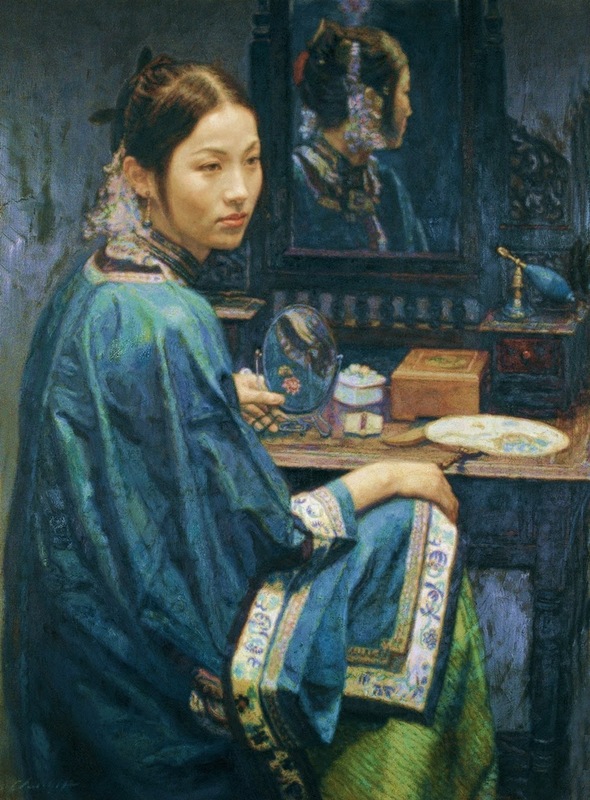 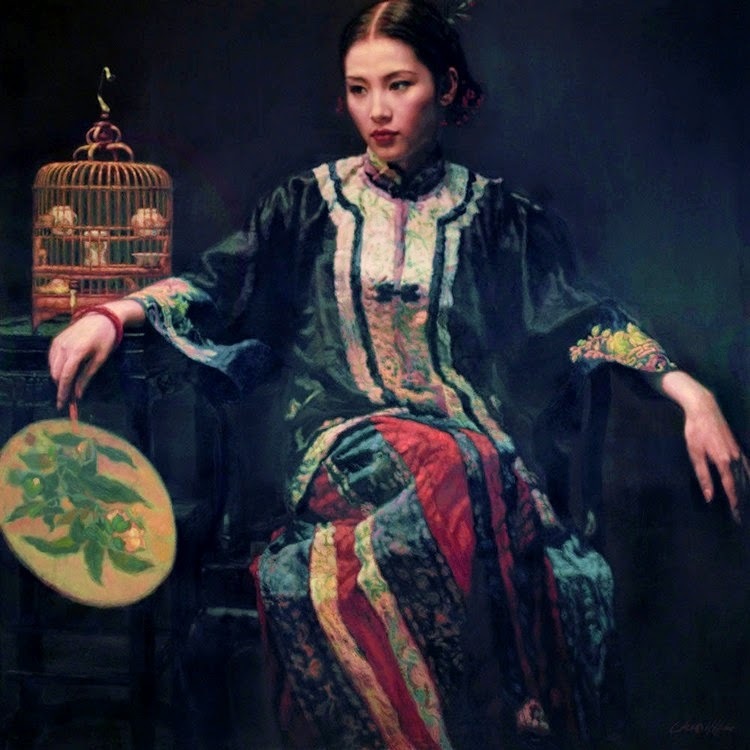 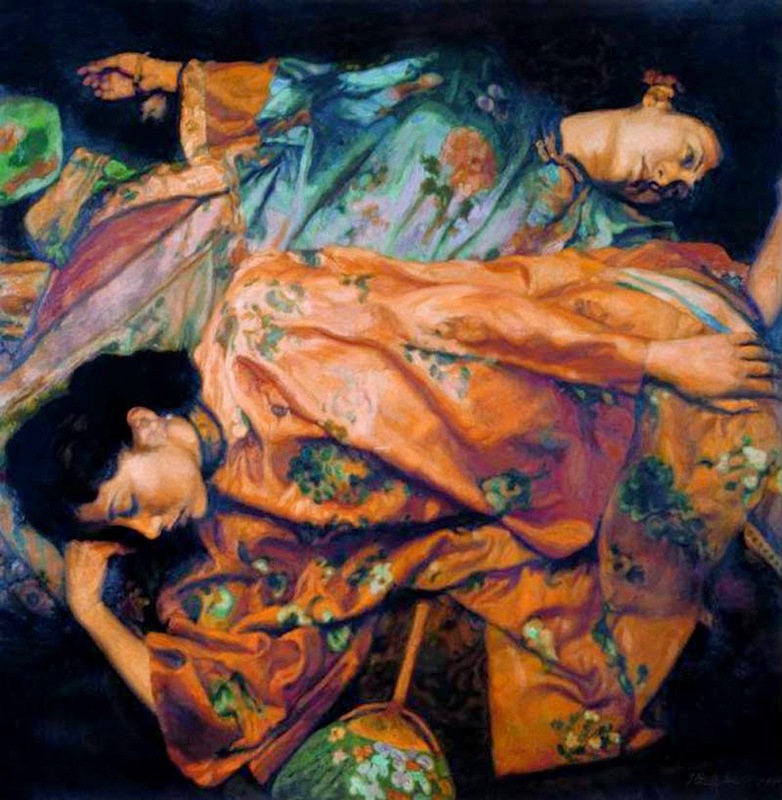 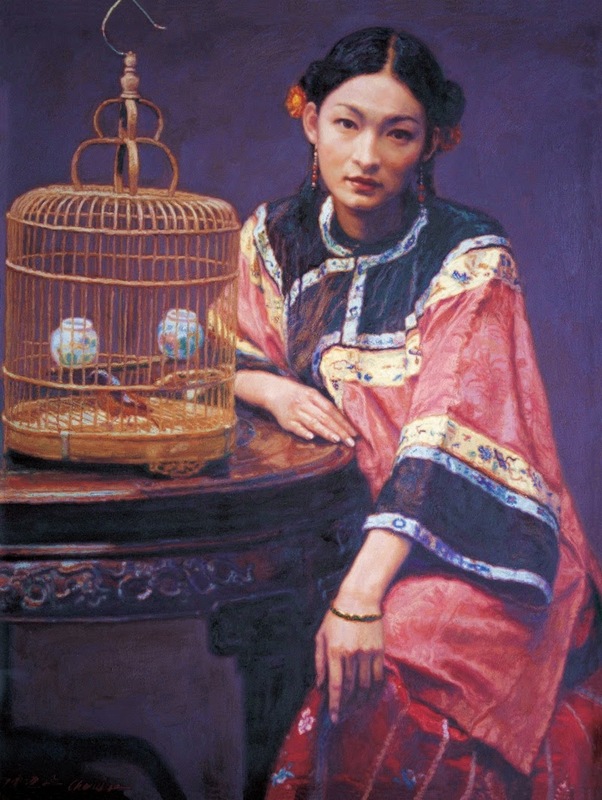 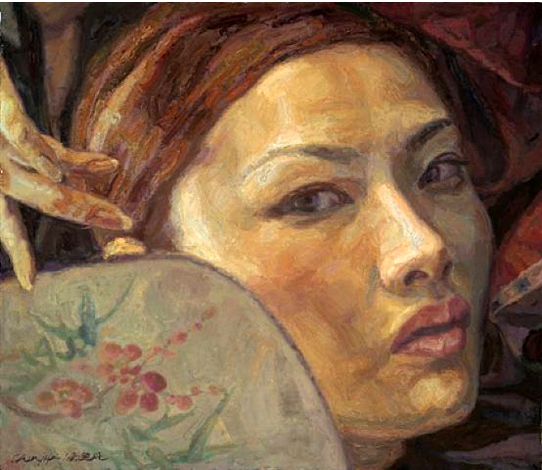 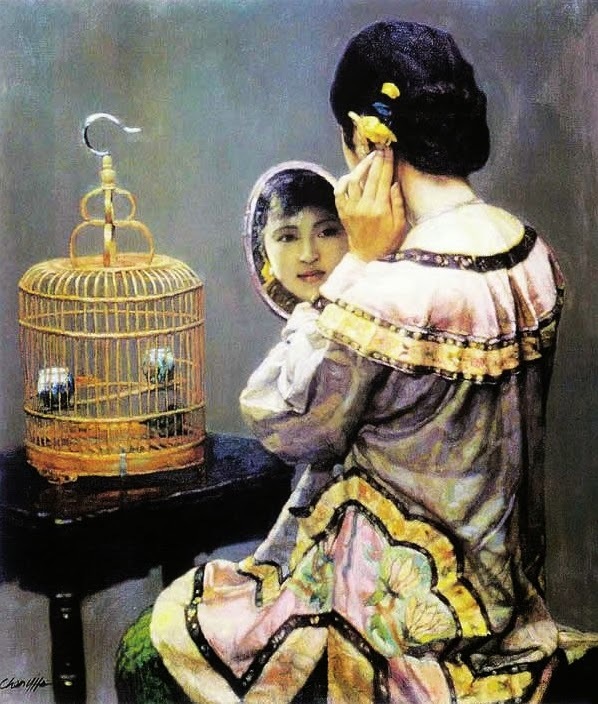 Although he was denounced for 'capitalist behavior' Chen's obvious talent and mastery of oil painting techniques won him recognition by the authorities. 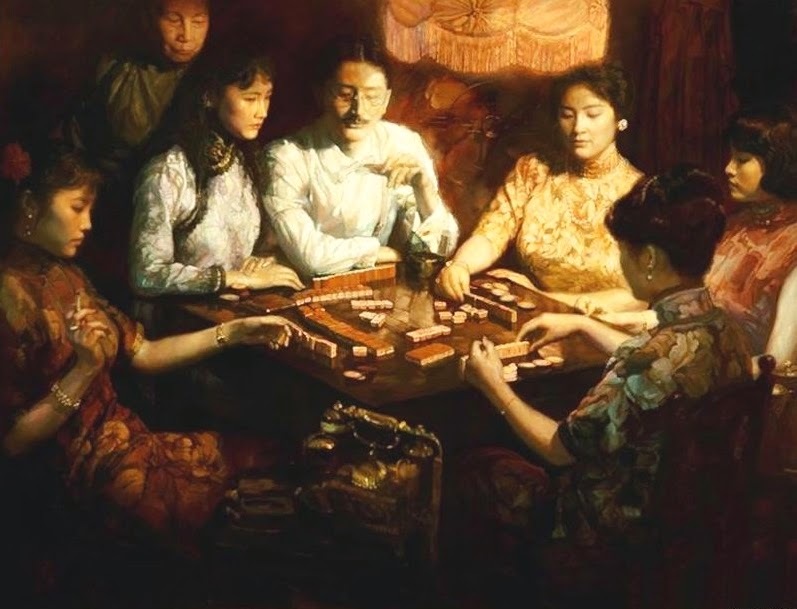 Chen soon became one of the leading painters of the cultural revolution, he was famous for his big Mao portraits and depiction of grand heroic events of the modern Chinese nation. 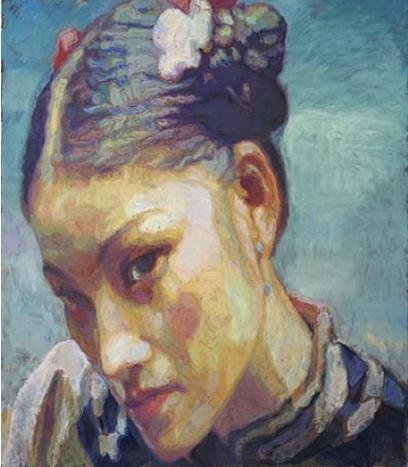 After the Cultural Revolution Chen became the forerunner of a new age in Chinese aesthetics, promoting a new sense of modernity and lifestyle in his paintings as well as in fashion, cinema and design.In his oil paintings Chen abandoned his uncritical glorification of the party to blend realistic technique and romanticism with Chinese subject matter, especially melancholic and lonely women in traditional dresses. 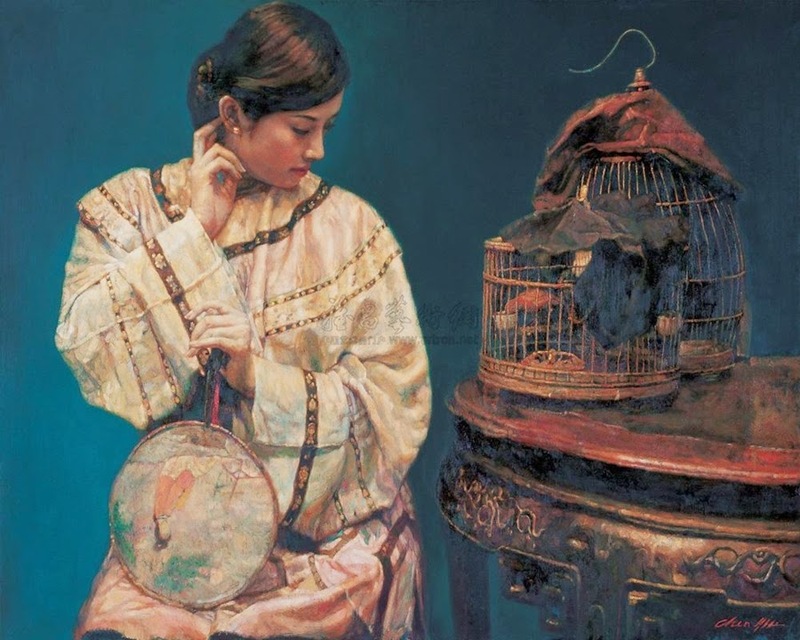 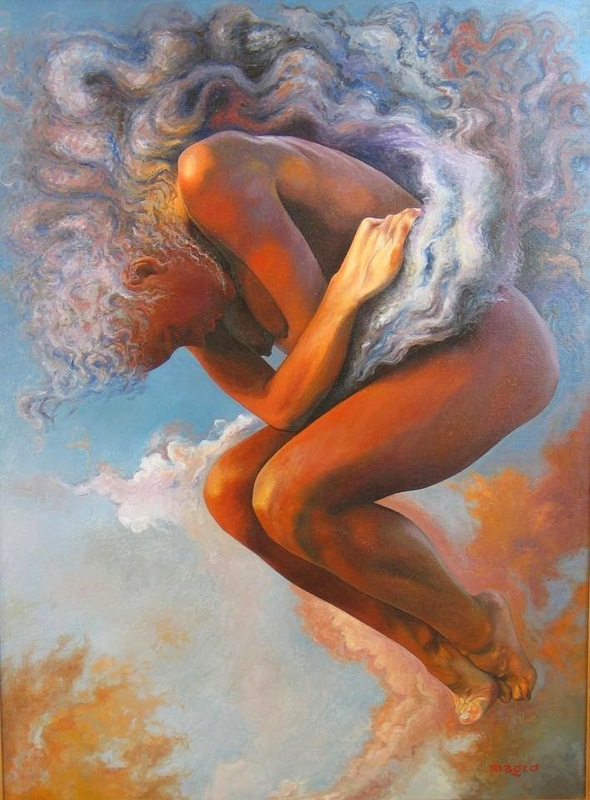 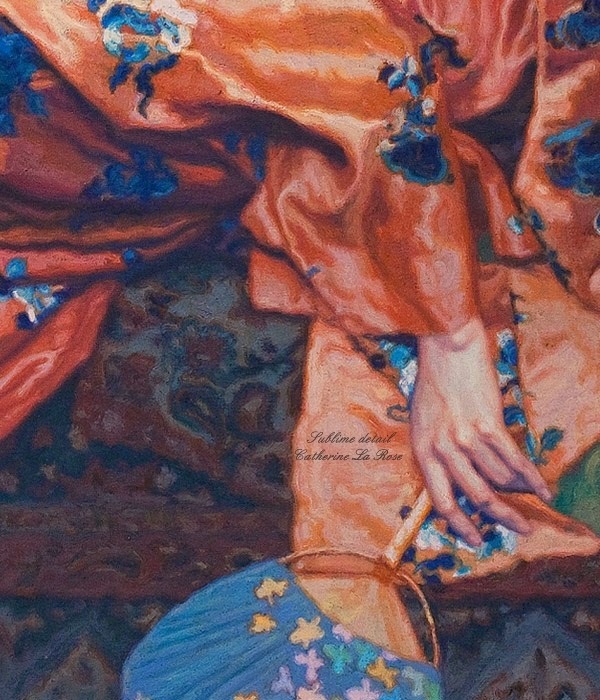 His characteristic "Romantic Realism" paintings use dark and dense colors and convey a sense of richness and integrity. 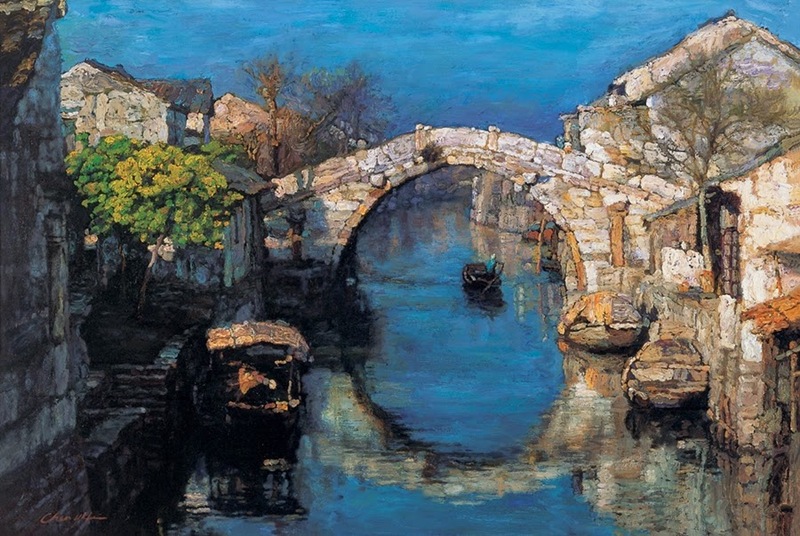 Chen returned to China and settled in Shanghai in 1990. 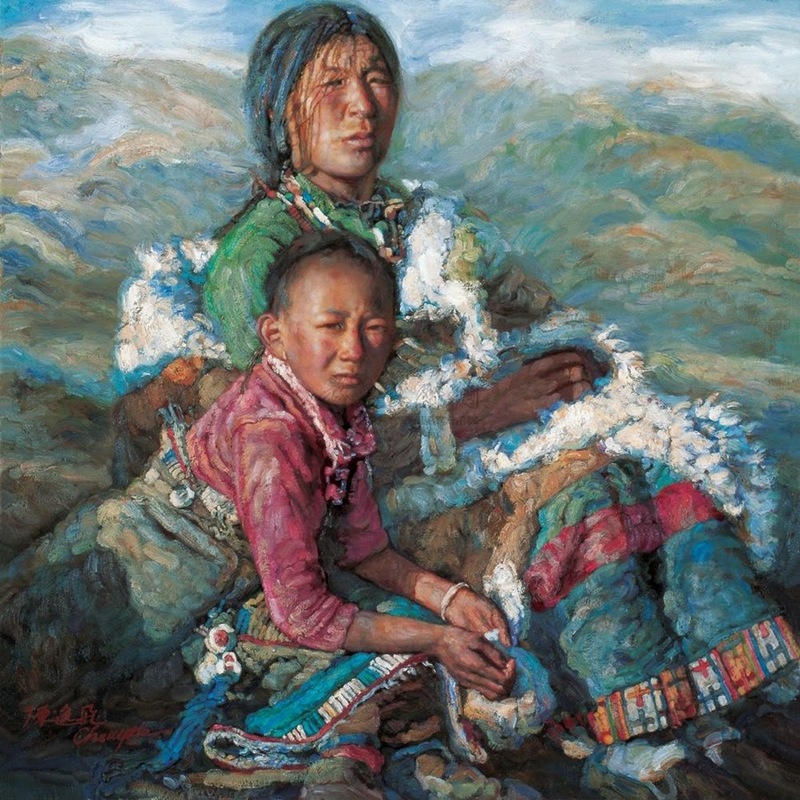 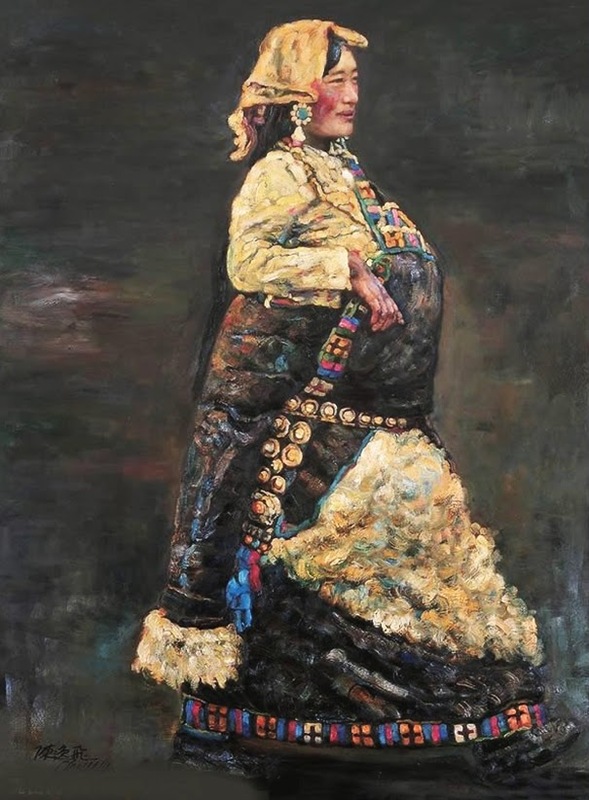 He painted Impressionist landscapes of Tibet and his native Zhejiang Province. 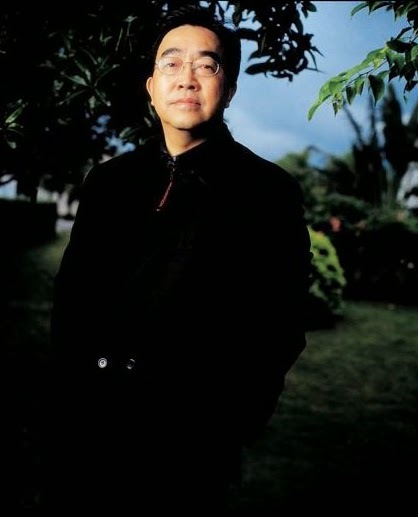 At the same time, he had also transformed himself into a style entrepreneur, creating fashion brands, decorating hotels and selling high-end clothing and chic home furnishings. 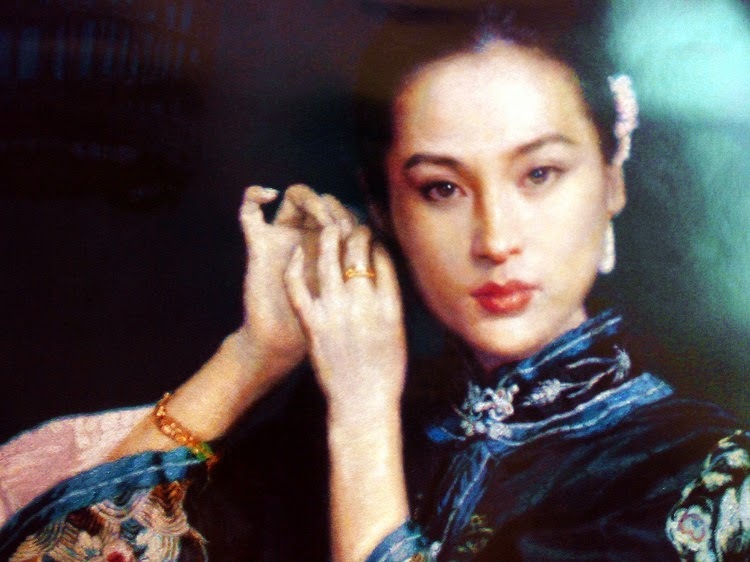 He also supervised one of the country's biggest modeling agencies. 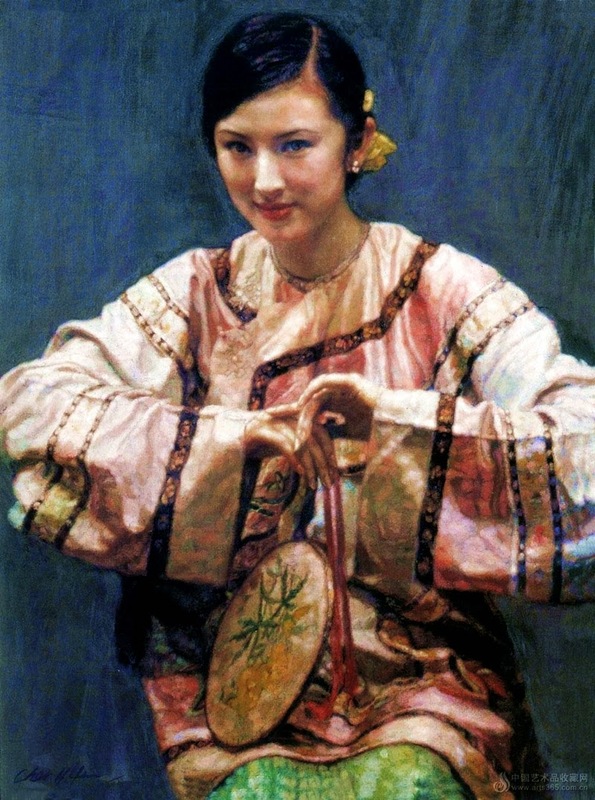 Some critics said he turned increasingly commercial. 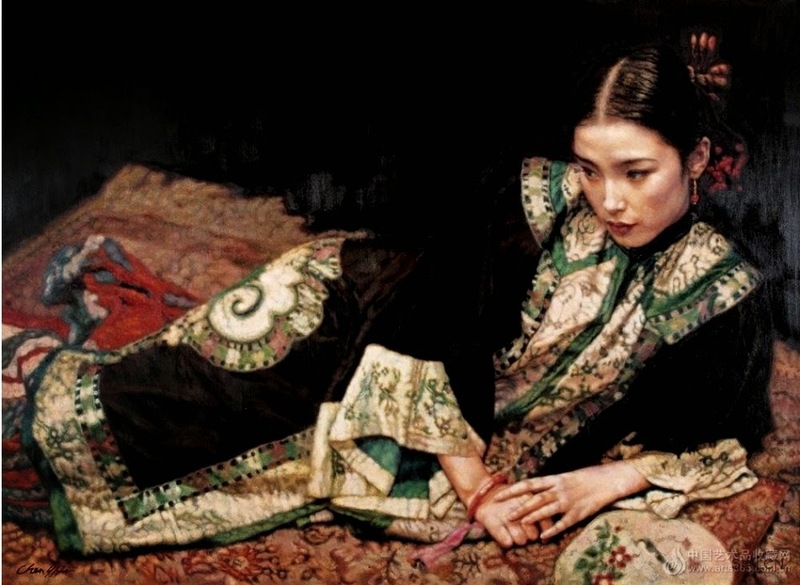 In 2005, while working on a feature film, "Barber," Chen fell ill and died. 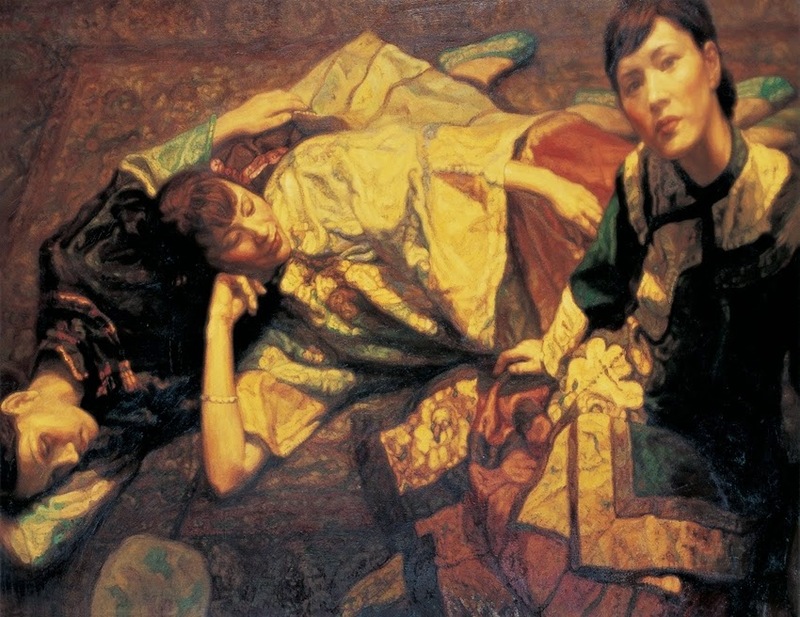 His early death left intellectual circles in shock and highlighted his major role in the Chinese contemporary art scene. 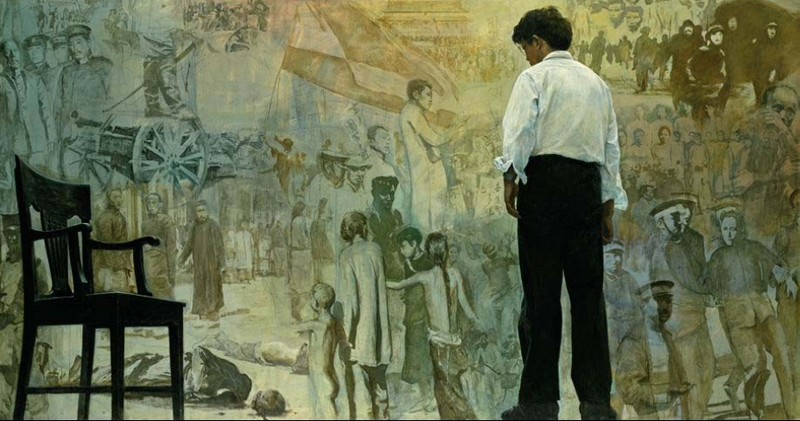 A beautiful series, too bad he died so young.